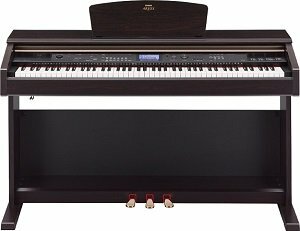 Trying to make a choice between Yamaha digital pianos? Here are a few models to look at. I know that you simply want to know which one is best for you, so this is what I shall attempt to do here. When it comes to buying a digital piano it's all about which one gives the best bang for your buck. If one has the money, one may say "I'll just get the most expensive one", which in this case is the YDP-V240. It sells for as much as $1,999.99. But the question is "Is it really the best one for YOU?" 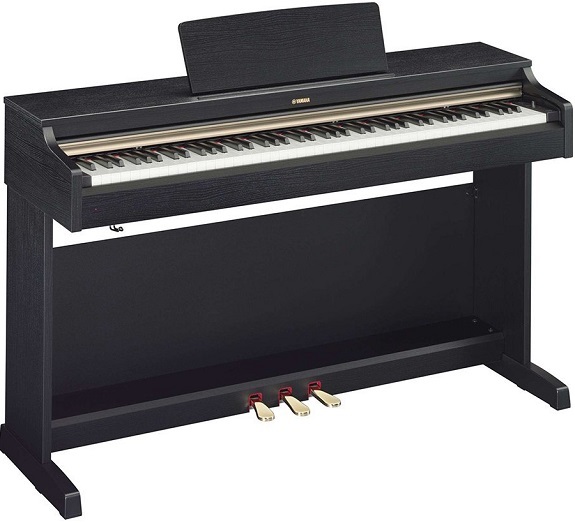 Then there's the lowest priced model on our list above, the Yamaha P35 which sells for as little as $499.99. It may very well be that this cheapest model may be the one for you. Or maybe not. It's clear to see that one has to dig deep before deciding on what is the best keyboard/digital piano for his or her unique circumstances. A balance has to be made between piano sound quality, piano feel/touch, desired features, the looks/design of the instrument, budget, and so on. Often times one has to arrive at a fair enough compromise. Let's take a look first of all at the P35. If you're on a very tight budget, this may be the right one for you. It has the same GHS (Graded Hammer Standard) keyboard that more expensive pianos like the p95, P105 and YDP142 come with. But when it comes to the sound of the piano it doesn't compare. Furthermore it has only 32 notes of polyphony (the number of notes that play simultaneously before they start cutting off). The best Yamaha digital pianos, like the P105 and P155 have as much as 128 notes of polyphony. Now, if you're a beginner, 32 notes of polyphony is just fine. But as you become a better player, this can be very limiting. The P35 comes with lots of great features like dual voice and split voice that more expensive models come with. Also it's very light, making it great for gigging. If you're absolutely sure of what you're looking for, you will be able to make a good decision on what to buy. My advice is to read reviews of all the digital pianos highlighted above before making a purchase. How about the P105? This is a favorite of mine. I actually chose it when my brother and I were deciding on what to buy. We were trying to decide between this one and the more expensive P155. After weighing and comparing features we finally chose the P105, particularly because of the 400 dollar savings. If you've played or heard about the model which precedes this one, the P95, you should know that it has a much better sound and more polyphony as well. The P105 sounds very good as far as I'm concerned. Good enough. Pay more and you have the much better sounding P155. (I wasn't prepared to pay more.) What makes the latter keyboard sound so much better is its 4-level piano sample. It sounds very realistic. What if the feel of the keyboard is of utmost importance to you? In that case you may have to spend more and buy the P155. You see, the P105 comes with a GHS keyboard which (while it's good enough for me) is not as good as a GH (Graded Hammer) keyboard. The YDP series is more pricey than the P series. Does this mean that they're better? Is it as simple as that? Does higher price mean better value? One must be careful. What makes the YDP series more expensive is largely, the beautiful piano-like furniture cabinets that they come with. For instance the YDP-V240 (which sells for $1,999.99) is basically the same as the DGX640 (which sells for only $699.99) in terms of controls, sounds, and electronics. What makes the V240 cost more must be the furniture cabinet and the better sounding speaker system. If you're big on getting a digital piano with a beautiful furniture cabinet for your home, of course, go with the YDP Arius model. Otherwise there are cheaper alternatives as we've seen above. The V240 has a lot of features. For instance, it beats models like the YDP-142 and YDP162 with respect to number of voices. The 142 and 162 each have only 10 voices, while the V240 has as many as 492 voices. The question to ask yourself is whether you require so many voices. If your focus is on the digital piano voice, you're fine with either the YDP142 or YDP162. If you absolutely must have a furniture cabinet, the Yamaha YDP-162 is a good choice. It's a top of the line Yamaha digital piano. It features a Graded Hammer keyboard which is Yamaha's best piano keyboard. The YDP-S51 comes with a GH keyboard as well. The interesting thing is that (like the YDP142), the more expensive V240 has the "not as good" GHS keyboard. (Something to think about). As for price, the YDP142 sells for $1,099.99, the 162 sells for $1,499.99 and the S51 goes for $1,699.99. As we've seen earlier the YDP V240 is the most expensive of the Yamaha digital pianos we've looked at, selling for as much as $1,999.99. Other Yamaha digital pianos worth looking at are the CP series. In 2006, Yamaha released the CP33 and CP300. They are still very popular among keyboard/piano players. A new CP33 sells for $999.99 while a CP300 sells for $1999.99. When it comes to features, the CP300 has much more. That's why it's more expensive. But I couldn't tell the difference in the piano sound. If it's all about piano for you and nothing more, the choice is clear. The CP33 is it. For more voices, more polyphony, speakers, ability to record, more pedals and equalizer sliders, the CP300 is the one. The CP33 and 300, while they are still available for purchase, have been discontinued by Yamaha. They have introduced the CP1, CP5 and CP50. All the best in finding a Yamaha digital piano that meets your needs. Hopefully, you clicked on the links above and spent time checking out the various digital pianos to find the one that is right for you. 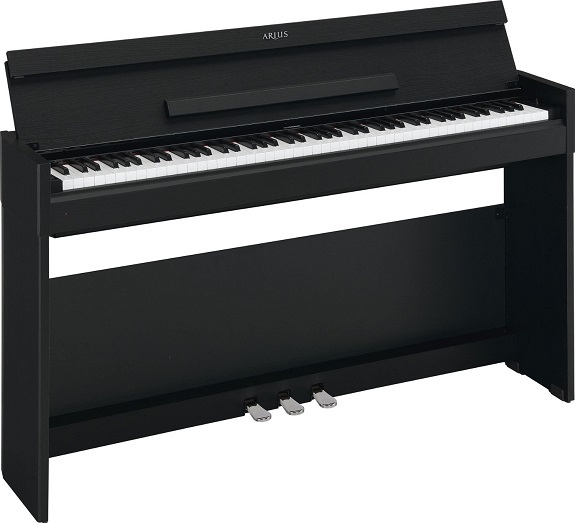 Click here for a wide variety of Yamaha digital pianos. Here's a list of other digital pianos (some discontinued). 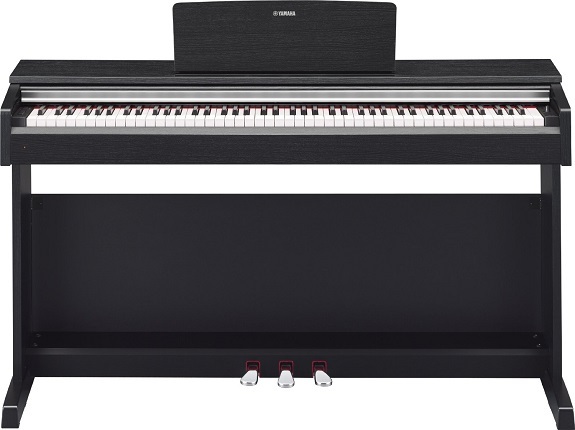 Yamaha Clavinova: CLP series; CVP series. Here are some of the latest music keyboard reviews that we've got. They include digital piano reviews.